I am continuing to be share with you from the Tips on Time Management series from people who have experience working from home. “My time management tip is to collaborate with another ‘work from home’ person. Email each other on Monday with the tasks to complete for the week. In this series I am going to be sharing Tips on Time Management by asking peope in the know about work from home. Success Factor invests in people and businesses by providing them with the tools to reach their full potential through a results based service. How do you succeed in business? It is still important no matter how much you are making to work efficiently. This will give you a sense of achievement and purpose- Successfulness. Without goals you may spend more hours than you need to working on your business and achieving very little. There is a tendency to feel like you can never get away from work when you work from home because it’s always there. There’s always one more thing to do. Today I want to talk about goals and planning as they will be your keys to success. It’s a good idea to set business and personal goals since the reason for you working from home is often motivated by your personal goals. If you need help setting personal goals you will find a free tool here. Next you need a plan. 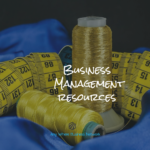 Here’s a free business planning tool to help you get started. You now have to have a plan for making this goal come to reality. You need to know you’re your strengths, weaknesses, risks and opportunities are. You need to plan for marketing and taxes. You need to plan for production time and delivery. Once you have done this planning your will know if your goal is realistic and achievable. Is it possible to have a work/life balance and working from home? Work Life and balance- are your goals matching what you want? Having a work/life balance is possible when you work from home. If you are going to achieve your goals of running a successful business from home, you need to set goals and manage the distractions that some with working from home. In any business there are three core activities that it’s very very important that you understand and understand not just the activities but the numbers that sit behind them those activities are. Firstly marketing, secondly sales and thirdly how you service and keep your customers. If you think about marketing there are activities that you will undertake, in terms of marketing,these are lead generation activities. They create opportunities for you to sell to new customers. When you think about sales there are activities and people who sell whatever it is that you do, and then when you think about customer service, again there are activities and people who look after that function as well. Where it’s really important that you get to is an understanding of if I spend X I get Y. Now you may be joining us from anywhere in the world but let’s just use dollars to make the point here. If you spend $100 on a marketing activity, what will the result be if you can guarantee, because you’ve studied this, that it would generate 20 new leads and that following a sales process your team could close, let’s say eight new customers, and those customers bring in five hundred dollars on average every year, and let’s say you spend $100 to service those customers, then that would be a good investment. But until you know those numbers you really have no idea what you can spend on marketing with any sort of justifiable return on investment. If you don’t know those numbers it’s time to find them out and your accountant can help you do just that. Video: Courtesy of Panalitix Proprietory Ltd via the Taxman Ltd. Panalitix produce these wonderful short videos. To subscribe to the Elevate EMagazine produced by Panalitix email us at info@anywherebusinessnetwork.co.nz and put Subscribe to Elevate newsletter in the subject line. 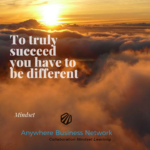 For help to grow your buisness through collaboration with other entrepreneurs, develop a healthy life style and learn how to develop a successful business go to www.anywherebusinessnetwork.com. This link is especially useful to those who are interested in learning about how to market online in todays digital world. There you will find a link a 30 free trial to the learning platform. If you like books on this subject go to our shop www.anywherebusinessnetwork.co.nz for the book Raving Fans by Harvey MacKay. What are you doing ? Are you where you want to be? Why? Have you got a business idea ? Have you done anything about getting that business off the ground? If you have then that’s awesome. Its a hard road but with a good mindset, taking time to find out what sets you apart from the rest, what your customers think of you, giving to others and collaborating with others you will see the fruits of your labour. We hope we can provide you with inspiration to either launch your idea or stay the course. We have an awesome Instagram campaign happening with inpiration to keep you focused. This video is a combination of some of our slides and messages. We are passionate about Collaboration, Mindset and Learning being the keys to your success. Go for it. Live it. Dream it. Do it. The ability to speak confidently is a worthwhile skill to master if you are in business. Whether you are speaking to customers face to face, on the phone or on a promotional video you need to be able to express your thoughts and ideas in a way that best conveys your message. If you are anything like me, making cold calls freaks you out. I was once told that you need 50 no’s before you can expect a yes so you may as well just keep calling people as you have a lot to get through before you get your yes. 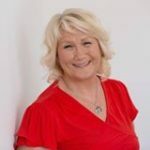 Whether you have to do cold calling or just speak to customers or clients, colleagues or business acquaintances you need to be able to appear you know what you are talking about. I have spent a lot of time getting comfortable with speaking to and in front of people. I joined Toastmasters in 2008 so I could practice these skills, not realising there was more to speaking in front of people than just preparing and delivering a speech. Here’s what I learnt and how I use it when in my business life with customers. 1. LISTEN -I learnt it was important to listen as well as speak. How can you meet the needs of your customers if you don’t find out what they are? You might be listening on the phone, in person or receiving feedback in writing. LISTENING allows you to meet their needs. You are wasting your time if no one wants what you are selling. 3. PREPARATION – I learnt that if you say you are going to do something you should prepare to do it well. This requires practice. In my business life this means writing down what I want to say, if it is something I am going to find difficult, and practice saying it till I can say it confidently. 4. POWER OF THE PAUSE- I learnt not to be afraid of the PAUSE. This was hard in the beginning. I unconsciously babbled to fill the silence. When you watch confident speakers, they are not afraid to take time to think about what they are going to say next or simply add a pause for effect. This often has us hanging on their every word. In my business life I can confidently ask a client, to give me a moment or that I will call them back when I have the answer they seek. 5. 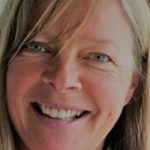 OFF THE CUFF- I used to hate networking events. 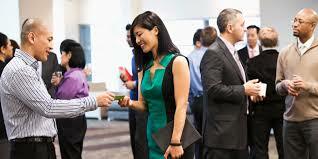 I would stick close to people I knew which totally defeats the purpose of going to a networking even. I practice speaking in front of my club on all sorts of topics and have learnt techniques to help me when I know nothing about the topic. 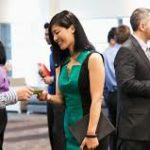 This skill is helpful when you need to make small talk at a trade show or networking event. It can also be helpful when waiting for a client or other members of a group and you have to pass the time with others waiting. If you want to be a confident speaker it takes practice. Joining your local Toastmasters group will help you do this in a supportive environment, you can learn at your own pace, talk about topics you are comfortable with and meet new people. Video: Courtesy of Panalitix Proprietory Ltd via the Taxman Ltd. But what I find is when you really understand the numbers most businesses can achieve much more than they ever thought possible and to do that it’s really important that you understand the numbers for your business. First of all think about how many customers you have in your business. Secondly, think about how many times those customers buy from you. If you increase each of those numbers by just ten percent your sales would increase by over thirty three percent and that’s a quite a dramatic number. And if you broke those down into those three areas, a ten percent increase is certainly doable in many businesses. So if you’re doing a million now you increase those three numbers -customers transaction, frequency transaction, value – by ten percent each you’ll go to 1,100,000 and in many businesses you know a lot of that would drop straight to the bottom line. What I suggest you do is talk to your accountant to understand your numbers, what the dynamics are of your business in terms of those numbers and then plan together to increase each of those numbers by at least ten percent and then go and enjoy the rewards of that. To subscribe to the Elevate EMagazine us at info@anywherebusinessnetwork.co.nz and put Subscribe to Elevate newsletter. If you dont have an accountant contact us and we will help no matter where you live (the digital world will make it happen). firstly marketing, secondly sales and thirdly how you service and keep your customers. are lead generation activities they create opportunities for you to sell to new customers. When you think about sales there are activities and people who sell whatever it is that you do. And then when you think about customer service again there are activities and people who look after that function as well where it’s really important that you get to is an understanding of if I spend it I get Y. Now you may be joining us from anywhere in the world but let’s just use dollars to make the point here if you spend $100 on a marketing activity what will the result be if you can guarantee because you’ve studied this that it would generate 20 new leads and that following a sales process your team could close let’s say eight new customers and those customers bring in five hundred dollars on average every year. And let’s say you spend $100 to service those customers then that would be a good investment. But until you know those numbers you really have no idea what you can spend on marketing with any sort of justifiable return on investment. If you don’t know those numbers it’s time to find them out and your accountant can help you do just that. Panalitix produce these wonderful short videos. To subscribe to the Elevate EMagazine email us at info@anywherebusinessnetwork.co.nz and put Subscribe to Elevate newsletter. We were pleased to share another of the Panalitix video with you today. It is linked to Google Maps so I can find my clients easily. One of the things I blogged about recently was challenging you all about how well you stored your important data for appointments, files, and client information. I suggested you store your electronic documents and client information in the cloud. I personally use Dropbox and Evernote and when it come to my diary I am using the Google App Calendar. If you think about it, in an emergency you are not going to grab paper files and you may not have time to grab your computer. But you will grab your phone. You can see my demonstration on the video HERE. I would be without it. I can Go Anywhere, Be Anywhere. What are the implications of an ageing workforce for you? 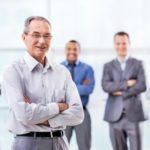 Older workers will have a profound effect on the labour market as aging will affect the size, characteristics and possibly the productivity of the workforce. I recently heard of a woman in her 50’s being asked by a recruiter “how long was she planing to live?”. Apart from it being discriminatory and very inappropriate, it highlights that many who are 50+ are seeking meaningful employement and that workplaces just havent considered the implications of this. I believe there are so many “young” people” in recruitment that they just cannot imagine being 50+. In fact you dont need to be 50 + to experience this kind of discrimination in the workplace. There are so many poeple entering the workplace who are young and want flexibility they expect that everyone does. There has been a definate shift in the last 10 years from a feeling of security in a job to feeling like you just need to accept you will change jobs often. Regardless of this trend there is an aging workforce upon us and they will need to be accomodated because they will make up the bulk of the workforce. On the flip side those in this age bracket will need to think about marketing themselves differently and working differently. 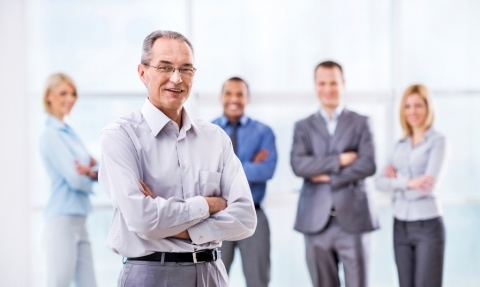 Why do older workers stay and how will it impact business? · Talent is ageless. Become and age friendly employer. 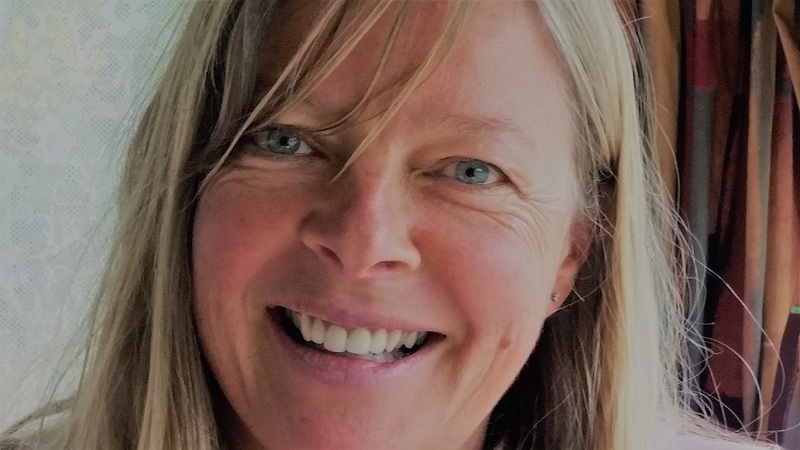 · Employers need to assess, reassess and assess again to make sure the work people are doing is appropriate for their skills, experience, physical capability and well being of the worker. 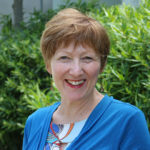 · Loss of talent -ie If the over 55s leave how will you replace them? Do you know how many you have already in your workforce? · Loss of knowledge- i.e. What knowledge would walk out the door with them if they leave? · Reclining productivity- There is little relationship between age and productivity. Engagement is what is important. 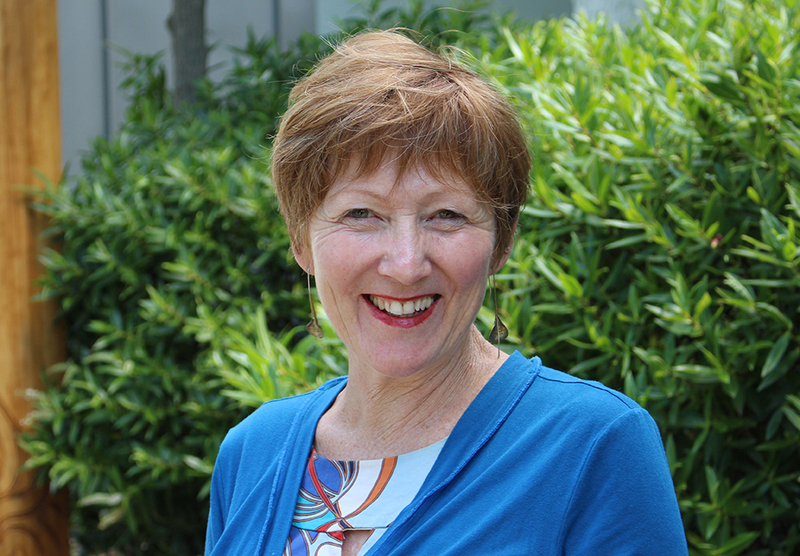 How can you engage the older workforce? What incentives will appeal to them? Will you need to redesign their work? ·Compromised health and safety well being- It’s a myth that the oldest workers have higher injury rates. The highest rates for time off work is in the 30-54. Highest number of injuries reported are in 20-29yr. General well-being affects all workers. ·Damage to reputation- Treat people well is good for retention and your reputation. Your employees and their families are your potential customers. Assess your benefits and risks of your current workforce. Injuries to workers cost your business in time, reputation, money and morale of your workers. Talent is ageless. What can you do if you are hiring ? Assess your current workers – can they do their jobs safety, now and in the future? Its really important that you have a handle on the benefits and risks associated with workers you have currently. What age ranges to you have? What capabilities do you need them to have for the job they do? When you have this data you can then do an assessment to find out whether they are at risk in their current position and what the implications are of this person staying on in this role to do the job safely. This should be part of your task analysis and risk assessment process and review. Involve your workers and find out what they are experiencing and any issues they feel may come up in the future for them (future planning). This has implications for your recruitment program as well. What talent and skills would you loose if your older workers leave? How can you accomodate them elsewhere or change the way they work in order to retain this. Ask yourselves-What am I doing right now to ensure they want to stay and see a future with this company. When recruiting new employees you need to consider the skill and experience of those applying but also the physical needs of that person to do the task. Could you change the hours, change the workstation, get someone else to do part of the job that the new person may not be able to do… don’t let age be a barrier. I have blogged on this before. We need to consider alternative work options like working for yourself, contracting and casual work. In this case your hourly rate will be higher and our hours will changeable. You might work hard out for 3 months then have a month off between projects. It could be exciting but you have to set up good business systems, do some financial planning, marketing or your skills and learning what it is you are really good at. The hardest question I had to answer was “what are you passionate about? ” You need to find the answer it and this will drive everything you do. You dont have to do it alone. 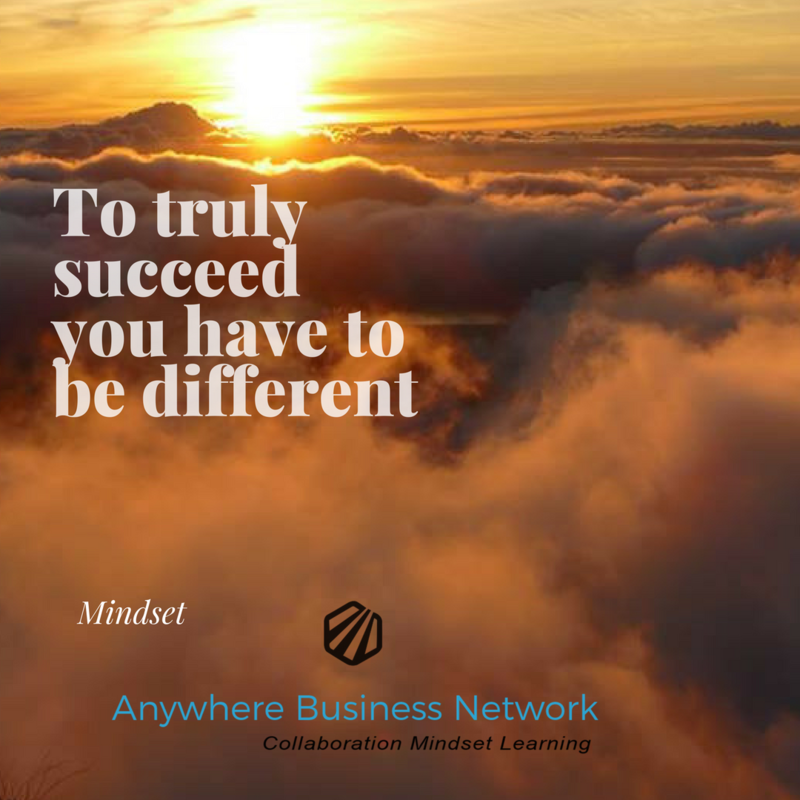 We are Anywhere Business Network want you to feel you have a place to go to get your mindset in order, people to collaborate with and a place to find out and learn about what you dont know. Check out our website and social media feeds. Do you have any raving fans? Video: Courtesy of Panalitix Proprietory Ltd via the Taxman Ltd. Panalitix produce these wonderful short videos. To subscribe to the Elevate EMagazine produced by Panalitix email us at info@anywherebusinessnetwork.co.nz and put Subscribe to Elevate newsletter. Raving fans! What is a raving fan. Well, its a customer who is loyal to you and your brand who will not only consistantly buy from you but tell others about you. One of the top questions you you need to ask yourself if you are in business is “why sould a customer buy from me” and “why would they choose my business”. There has been lots of research on this and looking at why do customers change their vendor or supplier and not choose to stick with you. Yes, a persentage of people will leave because of price or the product is better somewhere else but that isnt the number one reason. The statisitcs consistantly show that (70%) the number one reason why customers leave a businesses is the perceived lack of interest or in difference to them. That they dont care. So what are you doing to create a remarkable experience. What are you doing to create a difference rather than a perceived indifference. This video gives you some simple littele things you can do to create that loyalty you need to retain customers and ones who will altimately tell others about you and be a raving fan. As a gen x, I think because our parents are baby boomers we are influenced by their beliefs….work hard, stick with what you know, be loyal, think of your family…. When in fact we haven’t in fact been offered such security from our employers. We have been through restructures, mergers, redundancies, centralization, decentralization and the introduction of technology that we were not prepared for in a school and had to teach ourselves to use. Many of us are on our 5th career change and are highly qualified. I myself have 2 degrees and another qualification but what I want is freedom and flexibility from the 9 to 5. I am tired of juggling family and work. Why? This generation has the highest rate of broken relationships than previous generations. Not everyone it seems is willing to work on a relationship in order to provide their children with a balance that comes from a two parent household. It seems people of my generation (gen x) think they “don’t have to put up with anything they don’t want to”. What has been the cost? So how does this affect the future of work? We have bred a generation of self-centered individuals who know about trade offs. They love technology, because we gave it to them, and they know what it means to be anywhere and be able to do anything if you are connected to the Internet. You can find anything, talk to anyone and get information about anything from anywhere. This is how they will experience work. They have spent years discussing what the Internet is teaching them, forming opinions, finding out what is possible, and like us they will be determined not to be like their parents. They are tired to the trade offs. They are in charge now… or will be. As a gen x, I am exhausted, I have been raising my son on my own for 12 years. Trying to work around him and have changed careers so many times I have no sense of what a career is. I have spent time pursuing careers that have been unforgiving to people of my age with no experience and a qualification. So now, I have unskilled myself in the latest digital landscape, joined a community of people online who are in the same boat and are there for each other. I have spent a long time working from home, alone, but I don’t like working alone so I have a business partner now. We work remotely as we don’t live in the same town. We have online meetings, email, text, skype, Facebook….. whatever it takes. We each have our strengths. It works well. I won’t be left behind in this ever changing digital world. I won’t bury my head in the sand and say “ I don’t understand it, I am afraid of it, so I won’t use it” . So, what you can do Gen X is pick yourself up and do what you know how to do and learn to survive change again. Change your mindset and collaborate with others, some will be just like you. You may need to meditate, you may need the help of a life coach or you may need to consider a new study option. Whatever you do, make sure it is a positive step forward. No one will do it for you but it’s time to find out how you can fit into the changing future of work. What can you do that can be outsourced to businesses, and not just where you live? What skill gap can you fill? What digital skills do you need, that are holding you back? Do you need help and who can do this? Are you mentally ready for change? 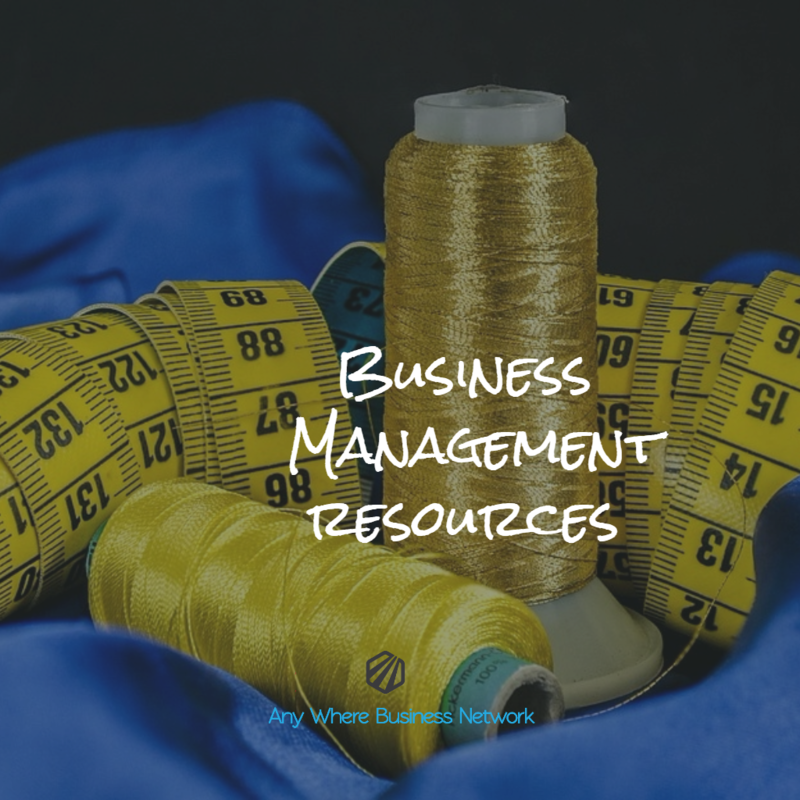 At Anywhere Business Network we can help with heaps of free resources on our website. We have motivational tips for you, business tools and recommendations, we are just like you. We would love to share your journey. He reminds himself of this everyday. Its’ an affirmation. I have listened to lots of Tony Robibns cds and he uses affirmations. -is one of them. He says you can subsitute the “my life” bit with anything really. Like my health, my attitude, my fitness, my body, my money. 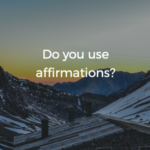 I have used affirmations for a long time now. I am always amazed at how it works. I find it helps me to focus on what I want in a positvie way by making a positive statement about what I want in my life or what I want more of. How can you use it with your business? Easy, what doy you want? Every day I make a sale. Every day I receive great feedback. I am a successful ……. (whatever you are), I have fun every day, I am financially successful and enjoy being able to pay for everything I need to, I recieve cheques/money daily, I am so grateful that I am well paid and that I am appreciated..
How do you make these affirmations up? Use positive words like grateful, great, I am statements are good. I know its hard to make a statement like I am financially successful when you are not. But you can start by saying –I am looking forward to the day I am financially successful, I am making decisions today that are garanteeing my financial success, I know that finanical success is important to my future and I am making positive steps to ensure this happens soon, I see the evidence of money coming into my account regularly and I this gets bigger and bigger. If you want to have a healthier body you could say things like: Every day my body gets slimmer because I make healthy choices and get regular exercise. Soon you will be looking at food differently and fining opportunities to get regular exercise. Have good things happened to me because of these affirmations I use? Absolutely, I find the best statements I make are the ones where I have the most trouble believing. I focus on areas where I still hold on to negative beliefs. These positive statements then replace these old negative beliefs to remind me I am not limited by what is sometimes my reality. 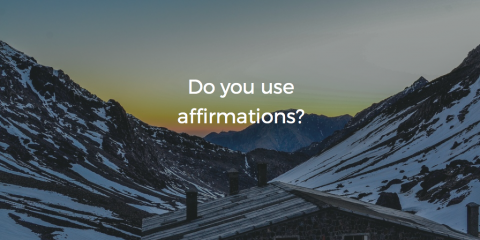 I would love to hear some of your affirmations. Getting organised in your home business. Its easier than you think. Knowing where to start when you have a home business is not always about just selling a product. Its all the tasks that need to be done in order to sell that product. For that you need a To-Do-List. Having a diary of some sort in business is essential. Over the years I have found I have moved from a paper diary to online diaries because I use my phone for everything these days and it is less bulky. Google has a great diary app for smart phones that will sink with your home computer. You will always know what appointments you have. Now you have a diary your need a to-do-list because you can use your diary to plan your day by allocating times in your day to do things on your to do list. Without a list you will flit from one idea to the next and find you are not being very effective. Here’s how an efffective to do list works. If you like to use paper and pen then making a list is going to work for you. If you like to use an electronic system (Try the TIMELY app) you will find there are lots of options. Just choose one and get started. Delegate- Someone else can and should do these to save me time. Even micro-business owners can benefit from an intern or temp. Drop- ask yourself,“will this make money for me right now or anytime in the future? Does it fulfil my current priorities?”If the answer is no, dump it. I am good at drawing out of poeple what they need. I am a good listener and love to hook people up with information so they can get what they want. I don’t always just hand them the answer. I make suggestions and give them direction. In my work as an Educational Kinesiologist I take people through a series of movements to work out what is blocking them from getting what they want. The body has amazing biofeedback through the muscles (called muscle checking) and this is accurate if you know how to do it right. By doing this muscle checking I can help them make mental and physical adjustments which when rechecked show that a change is what is needed and where it is needed. Cool aye! I use my skill to make money. I get the word out about my skills through word of mouth, Facebook and email. I have spent time researching (learning) how to market my business and turn what I love to do into a business. What are you good at? How can you use that to make money? Its not always easy to belive in yourself but with the right support you can make a mental shift (minsset) and you can be very successful. I surround myself with people who will support my learning and mindset (collaboration). I belong to an online community of people who are all learning to promote themselves and be successful. We have awesome mentors and their energy helps keep me going. I am not standing still. I am moving, learning and collaborating. What’s it like doing business with you? Are you sending the right message on your digital media, in your sales pitch and advertising? Way too many people talk way too much about themselves rather than about the benefits of the customer dealing with them. So have a look at your website what are you doing on your website. Are you telling everyone that you’ve been in business for 83 years? (… and seriously who cares except maybe you and your mother) or when I’m visit you online am I discovering what it’s like to do business with your business. Am I finding out the sort of results that I might get, the value that might accrue to me when I actually invest some time to work with you? You see, what customers really care about are those results. What they really care about is- how am I going to improve, how is my situation going to be improved, how is my business going to be improved as a result of your product or service and as a potential customer? I’m going to believe your existing customers before I’ll believe you. That’s why when I go to your website and I look at your other marketing collateral or when I’m visited by one of your sales people, what I really want to see is how does this work. I want to see case studies, I want to see testimonials, I want to hear your customers talking to me about why you’re so great. But more importantly what that means to me. So put your customer eyes on here and take a look at all of your marketing collateral and start with your website make sure that you’re not just telling us how wonderful you are, how long you’ve been in business, make sure that when I leave that page I’m really clear on where the value to me is as a customer. And when you do that I get a much better picture of what it’s like to do business with you and that helps me make a better decision about becoming one of your customers. Video: Courtesy of Panalitix Proprietory Ltd via the Taxman Ltd. Panalitix produce these wonderful short videos. To subscribe to the Elevate EMagazine produced by Panalitix email us at info@anywherebusinessnetwork.co.nz and put Subscribe to Elevate e-zine and we wil get you on the list. How is snack sized communication affecting the way we communicate? In my last blog I highligheted the growing trend towards snack size information dominating the way we communicate. Is this a good thing or bad thing? I guess its irrellevant but what is important is how we communicate. By better understanding both positive and negative consequences, we can make better decisions about our own communication choices. Have you ever sent a text to a friend to say “I’m here”? You are waiting in the car for them and you cant be bothered talking to her husband or interacting with her kids, you just want to get going so you wait for her in the car. Texting is the most-used data service in the world; and when you factor in apps such as Messenger and WhatsApp, we send 80 billion messages a day. We send transactional texts to avoid explanations or long conversations. Texts are less intrusive and we can get right to the point. Snackified communication is faster. So how do you gain attention and ensure that your message resonates? You make it informal and appealing, so it’s easy to consume. A communication snack uses short sentences. It uses contractions, emoticons and image stickers to create colorful, casual messages. And it’s exactly this appealing, fun, authentic voice that can be quite compelling. What are the Negative aspects? Are we trading empathy for efficiency? Snackified messages are so condensed and informal that they often fail to convey the intended emotional meaning and instead create more misunderstandings. And when we consider the overwhelming amount of electronic exchanges we have, some of which are with people we’ve never met in person or have never even had a phone conversation with, this just increases the chances of misinterpretation. Written messages don’t carry the tone, pitch or emphasis of our voice, which can make it quite difficult to determine if someone is being e-serious or e-sarcastic, or if a person is just e-busy and not e-angry. When we don’t hear a voice or see a face, or fully understand the context of written words, we are bound to make incorrect assumptions, which in turn negatively impact how we view others. When you look at Facebook do you find yourself comparing your life with others? Do you get anxious finding just the right words so someone doesnt take offense. These are the impacts of this type of communication that we need to be aware of for our lives and the lives of our kids. It can affect your self esteem to think others are leaving you out or doing better than you. There is no doubt that snackified communication is here to stay, and that it has definite advantages. We are able to stay in touch easily, letting loved ones know they are on our minds. We can get information to people quickly and efficiently. And sometimes it’s just plain fun. But as studies show, we have to be aware of its drawbacks and make necessary adjustments. Secondly, a little face-to-face time without digital devices goes a long way toward reducing emotional misinterpretation and increasing empathy. People will get a sense of the type of person you are and you them from these exchanges, no matter how brief, which will help them determine what sort of meaning is behind the words. There is no doubt in my mind that communiction with family and friends is being affected as well. Unfortunately, and because our technology is almost always with us, we have fewer of these types of meaningful conversations. One thing we can do for ourselves and our children is to schedule “digital holidays” or attend phone-free events. Finally, Turkle also stated that “One start toward reclaiming conversation is to reclaim solitude. Some of the most crucial conversations you will ever have will be with yourself. Slow down sufficiently to make this possible. ” I think we all need solitude from time to time in this age where we are seemingly always in demand. We need to communicate facts clearly and concisely, but we also need to communicate emotion accurately, and develop healthy, supportive, interpersonal relations. This can’t be done through snackified communication alone. Like a healthy diet, our communication must be balanced. And just as we see a new trend in snacks becoming more healthful, I am hopeful that understanding the influence of snackified communication will move us in a healthier direction. Our business won a blogging competition in 2017 so we decided to do a blog on how to do a blog! The blogs we write firstly built on the principle of servant leadership- that is, putting the interests of others first. 4. Development of our brand! We wake up in the morning wanting to inspire people and their communities to make a difference. Small businesses are the core of communities. We are passionate that collaboration, mindset and learning are key to small business success.